The sportbike that does it all. 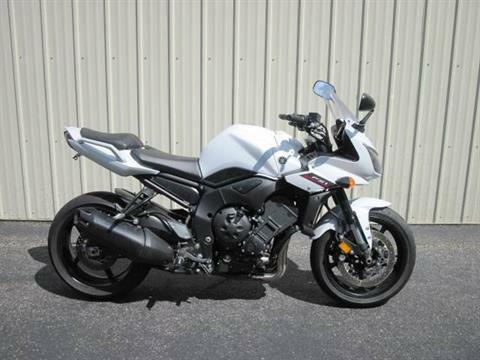 The FZ1 provides long ride comfort with liter-bike performance so you don't have to compromise. It combines a compact 998 cubic centimeter, 20-valve engine tuned for a tremendous mid-range with sculpted bodywork, comfortable riding position and adjustable suspension that conquers everything from urban assault to track days to sport touring.